There are 4 artists called Inanna: 1) Solo project of Mikael Stav?strand after the split in Archon Satani 2) Female experimental dubstep ambient minimal techno artist 3) Melodic death Metal band from Chile 4) A percussion and vocal ensemble that explores the heritage and rhythms of West Africa 1. The solo dark ambient/industrial project of Mikael Stav?strand after the split in Archon Satani. 1. 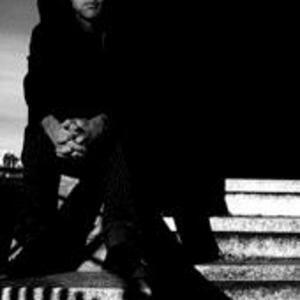 The solo dark ambient/industrial project of Mikael Stav?strand after the split in Archon Satani. 2. Inanna's novel and atmospheric sound has a melodic sense rare among her knob- twiddling contemporaries. She spares the glitch and tweaking in favor of something a little more organic, immediate, and emotional. While the latter may be a dirty word in electronic music, her music manages to trump any expectations of the tag, subtly giving some class to the concept. Beneath the surface of crystalline, alien textures lies a warm, undeniable human element. Her precise, masterful mixing style has earned her quite the reputation for both creativity and raw talent. Her amalgam of heady ambience, minimal techno, jacking house and even breakbeat are sophisticated and surreal, showing an amazing diversity of style that The Freshpage describes as ?works of art that need to be displayed in a music vault at an audiophile museum?. While her recorded mix sets are most often experiments with found sound and hypnotic, dreamy soundscapes, conversely, her live performances serve up a more high- energy, cutting, late-night warehouse vibe. Inanna first gained notoriety in the late 90's as one of North America's premiere Garage/2-Step DJs. Since then she has continued to win accolades within the industry, appearing in such publications as URB, XLR8R, The Boston Globe, Seattle Weekly, Deuce, Undercover, and Gothic Beauty just to name a few. A veteran of events throughout North America, Mexico and Europe, Inanna is at home performing to crowds of forty or four-thousand. Inanna has recently seen the successful launch of her label, La Folia Recordings, who's releases are being played and supported by dj's and artists such as Dominik Euelberg, Jennifer Cardini, Sascha Funke, Shelley Parker, October, Axel Bartsch, Ryan Elliot, Michna, Soda Pop and Soul Designer. Inanna develops their sound from many styles of Metal, specifically Traditional Death Metal, Even though, foreign elements like progressive sounds, doom roots and electric jazz-tinted sonorities can be heard in the band extensive compositions. 4) Inanna, Sisters in Rhythm, is a percussion and vocal ensemble that explores the heritage and rhythms of West Africa, through original arrangements and compositions invoking ancient traditions of the drum. Inanna was originally created by the participants of a drum class in Alna, Maine eighteen years ago. Since that time, Inanna has recorded and released five, full-length albums and has performed at numerous percussion festivals and community events. Inanna is deeply dedicated to the education and cultivation of peace and sharing among cultures through the power of music. The ensemble plays African percussion instruments such as the Djembe, Kpanlogo, Doundounba, Kenkeni and Sangba, and other hand-crafted percussion instruments such as the Balafon (an African Xylophone), kalimba (thumb piano), shekeres and a variety of bells and other small instruments. Frame drums which are found in almost every culture and are the ancient instrument of women drummers, are now a staple in Inanna's sound. As a group, Inanna members have studied percussion with Karamo Sabally of Gambia, West Africa; John McDowell of the Afro-jazz fusion group ?Mamma Tongue? ; Yaya Diallo, master drummer from Mali and the author of The Healing Drum; Layne Redmond , author of When the Drummers Were Women; and Famoudou Konat?, one of the world's best known and recognized djembe players.Inanna takes their name from an ancient Sumerian goddess, who held reign more than 4,000 years ago during a period when it is believed that drummers and dancers were predominantly women. The ensemble chose the name of this ancient goddess to express their ties with earlier traditions.